Before you remodel and build a new bathroom, consider what you'll really get for your square footage. If you’re planning a remodel and are hoping to squeeze an extra bathroom into your home, there are a few things you need to know. 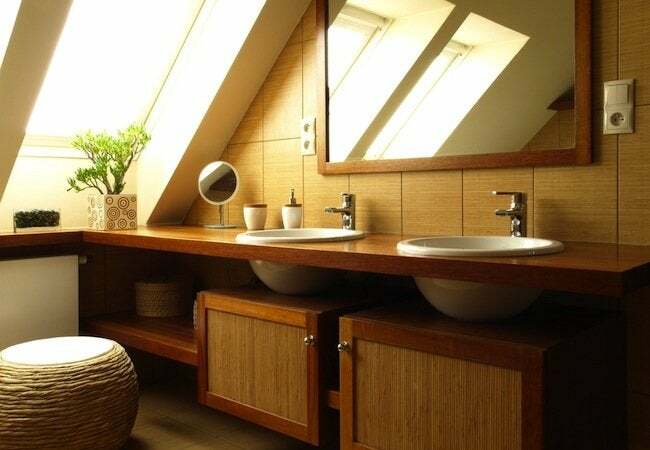 First, it’s possible to create a small powder room in less than 15 square feet, but it will probably feel cramped and uncomfortable at that size. A powder room that’s at least 16 square feet will give you a much more usable space, and 20 square feet is best for comfort. If you’re working with a small space, be sure to choose a smaller-scale sink and a compact toilet, so the room doesn’t feel as crowded. Wall-mounted sinks don’t give you much basin area for hand washing, but they do make it possible to create a powder room out of an extremely small space. If you’d like a three-quarter bath—meaning one that includes a shower stall, not a tub—you would ideally plan on another nine square feet to accommodate a shower stall that’s three feet by three feet. But corner shower stalls, shaped like a triangle, can be installed in less than seven square feet of space. Those corner stalls can feel a little cramped, so stand in one in a showroom before you include it in your plans. A full bath with toilet, sink, and tub needs a minimum of 36 to 40 square feet, even more if you want amenities like a separate tub and shower, a double sink, or a linen closet.